The case of S. R. Bommai v. UOI is a landmark case in defining the powers of the Centre with respect to Art 356 of the Constitution that deals with emergency provision where the President can impose his rule over the State. The Centre State relationship and its efficiency had been dealt in a better manner in this case. Many reports suggested certain recommendations on the smooth functioning of the same without any conflicts. The recommendations were based on (1) Administrative Reforms Commission 1969; (2) Rajmannar Committee 1969; and (3) Sarkaria Commission 1987. The Governor of Karnataka had reported to the President that there were dissensions and defections in the existing ruling party as nineteen letters were sent to him by the council of ministers from withdrawing their support. He also stated that on the withdrawal of the support in the ruling party, the Chief Minister (S. R. Bommai) also failed to call in for majority of assembly, which is inappropriate under the Constitution. And so, the State is to be administered by the Centre. It was seen that seven out of the nineteen legislators have complained about misrepresentation in their respective letters and therefore, the Chief Minister and the Law Minister met the Governor the same day to summon the Assembly to prove the confidence of assembly in his government. The same was forwarded to the President through telex message. But on the very same day, Governor has sent another report stating that the Chief Minister has lost confidence of the majority of the House and requested for President’s Proclamation under Art 356 and eventually the same was granted. A writ petition was filed challenging the validity of the Art 356 of the Constitution. The aspects that were put into test are the federal nature of our Constitution; and to what extent is Art 356 justifiable and if so, whether it can be subject to judicial review. A nine bench judge gave seven opinions in this case. President’s Rule in certain states was held to be in violation with the Constitution and eventually restored its original position. But fresh elections had already taken place and the subsequent new Governments were installed. 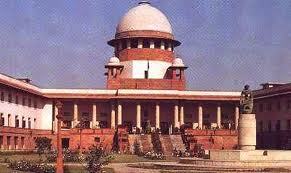 The Court, in its seven opinions has given what the federal nature of the Constitution of India is. They have further stressed that the application of the principle of a Federal State of American Constitution would be misleading on the Indian Constitution. The concept of Federalism cannot be followed in its strict sense in India. The second contention is whether a President’s Rule can be subjected to judicial review. It was seen that the nine Judges in their opinions has given that there is no harm in Art 356 been put to judicial review. There are provisions envisaged in the Art for the President to satisfy. Though the satisfaction is subjective, they rely on the objective facts and so judicial review is permitted. But the parameters in which judicial review can be carried on differed from one opinion to other. They have a few indifferences as to the widening the scope of judicial review and narrowing it down. Further, it was said that invoking Art 356 of the Constitution is the last-resort power in the hands of the President. (d) Non-compliance with constitutional directions of the Union Executive. It is not claimed that this categorization is perfect; rather it helps to determine whether or not, in a given situation it will be proper to invoke this last-resort power under Art 356. It also lists certain circumstances which may not amount to failure of constitutional machinery. The circumstances are, (i) maladministration in a State, (ii) non-exploration of the possibility of installing an alternative government in case of dissolution if government in State (resignation or dismissal), (iii) removal of a government which has not been defeated at the floor of the House and has not been given an opportunity to prove its majority, (iv) massive defeat of a party in Lok Sabha elections such as in 1977 and 1980, (v) internal disturbances not amount to internal subversion or physical breakdown, (vi) exercise of the power without prior warning except in case of disturbances or intra-party problems of the ruling party, (vii) to sort out internal disturbances, (viii) stringent financial exigencies of a State, (ix) allegation of corruption against ministry, (x) exercise of power for a purpose extraneous or irrelevant to the one for which it has been conferred by the Constitution. Therefore, the Supreme Court gave a bold limitation and structure towards the Centre-State relationship with respect to Art 356 of the Constitution. It has been said that Art 365 should be invoked only as the last resort power given to President and when the State’s Constitutional machinery had failed. Next Article Can India become a great power?